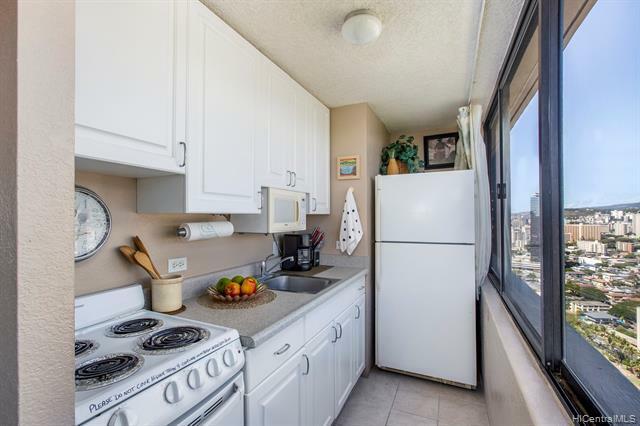 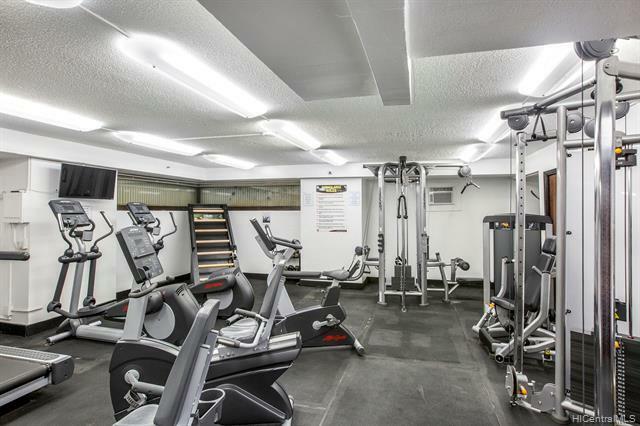 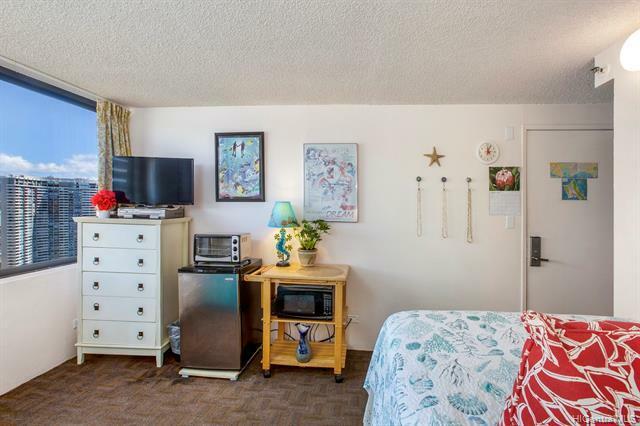 Rarely available, high-floor, corner, 2-bedroom, 2-bathroom, with kitchen unit with the potential to rent out together OR as two SEPARATE studios, 1-bath units. 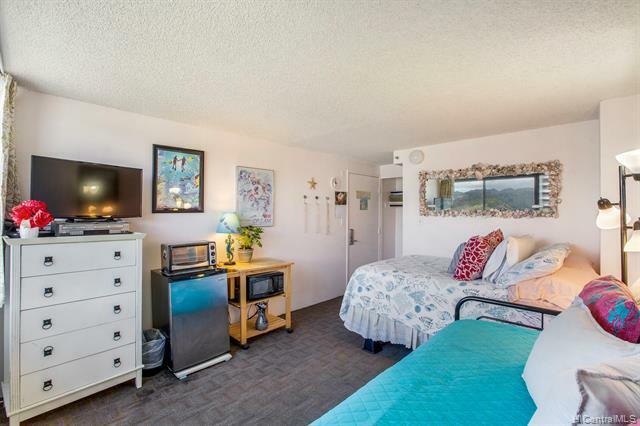 Short-term rentals okay. 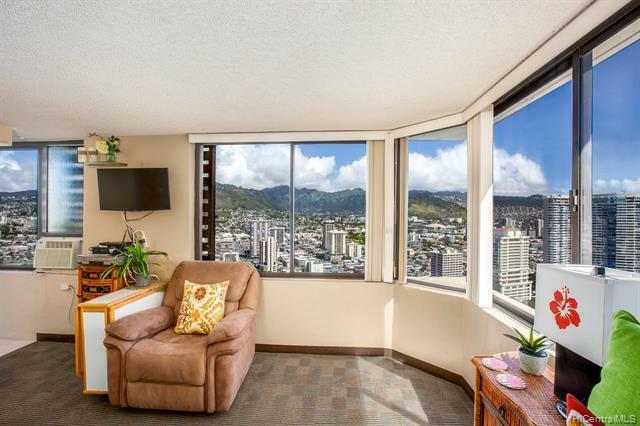 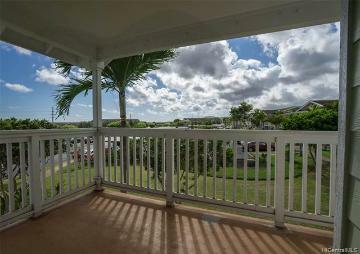 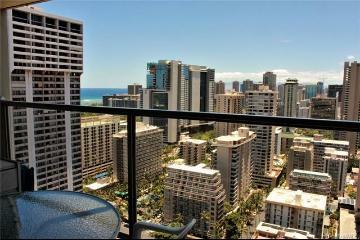 Sweeping views from the Ocean in front of Waikiki Beach, Diamond Head, the Ala Wai Canal, to the Mountains. 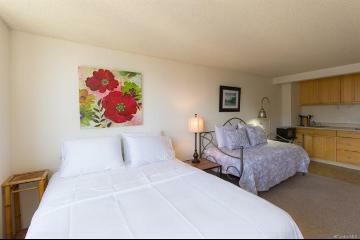 Amenities include a pool, jacuzzi, exercise room, community laundry, with convenient pay-to-park lot and multiple popular restaurants/bars also on the grounds, secured elevators, security patrol and video, friendly hotel front desk and concierge if you would like to be in the hotel pool (or the option to rent out on your own). 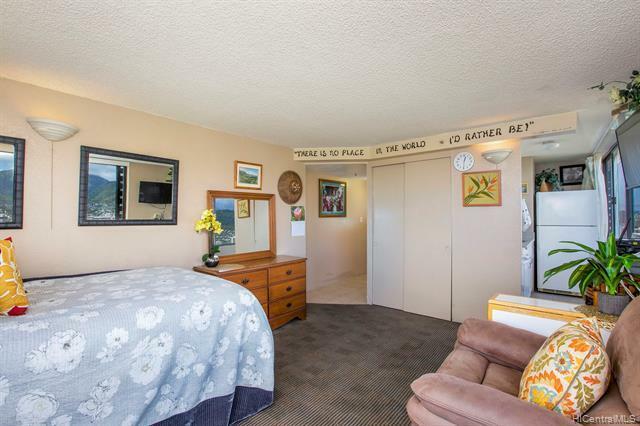 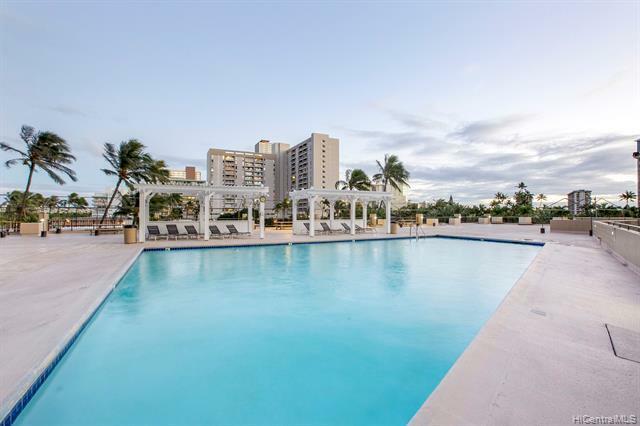 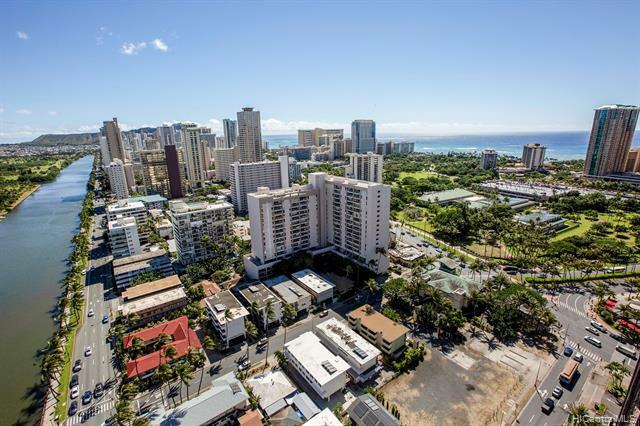 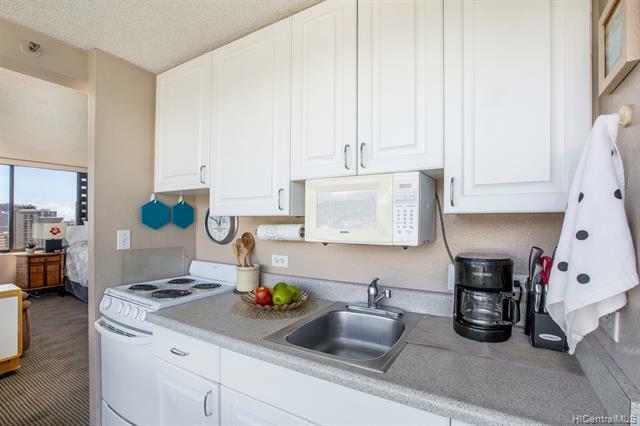 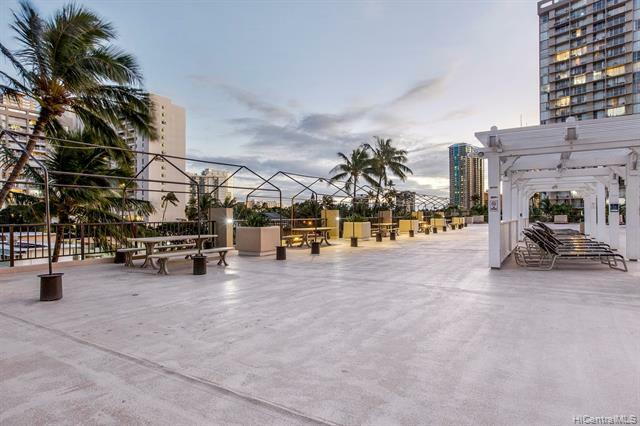 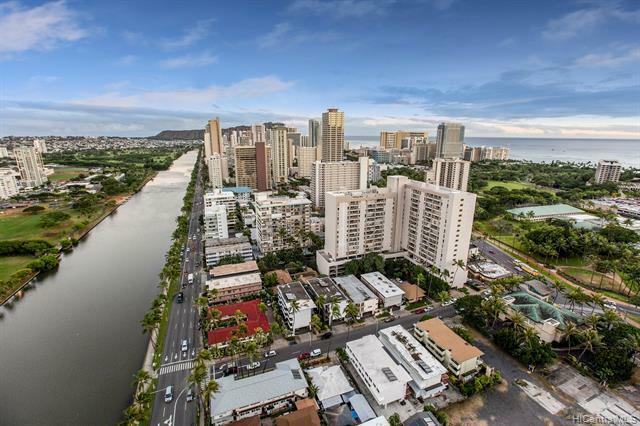 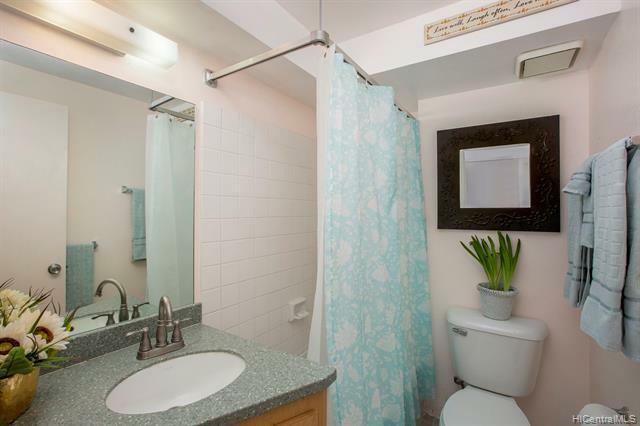 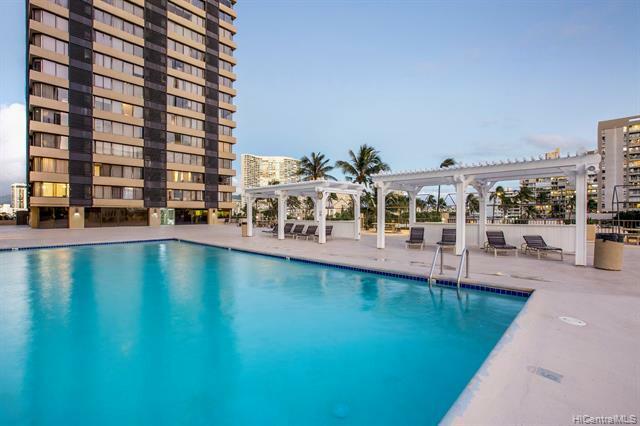 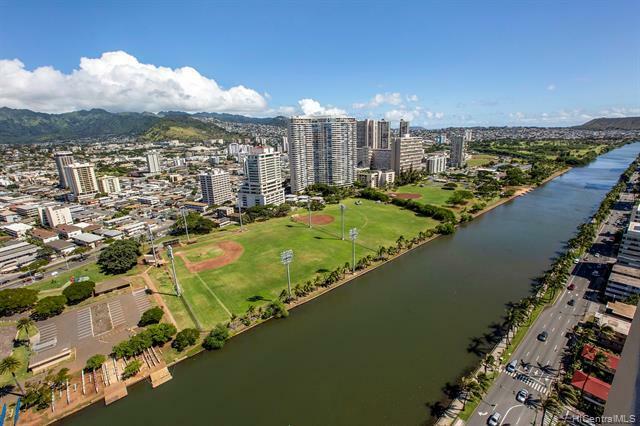 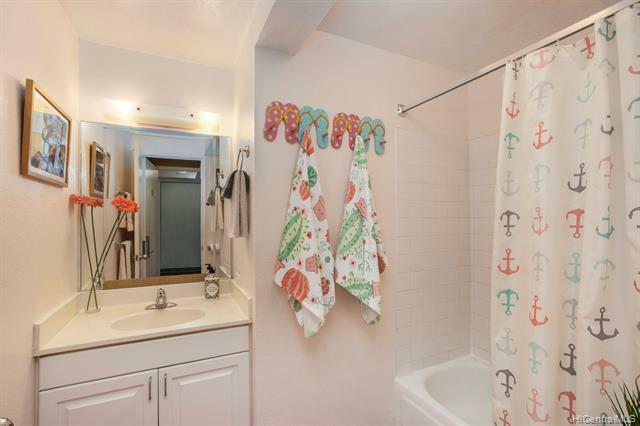 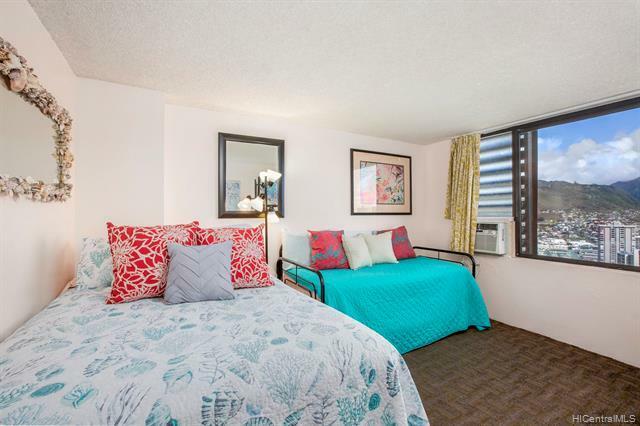 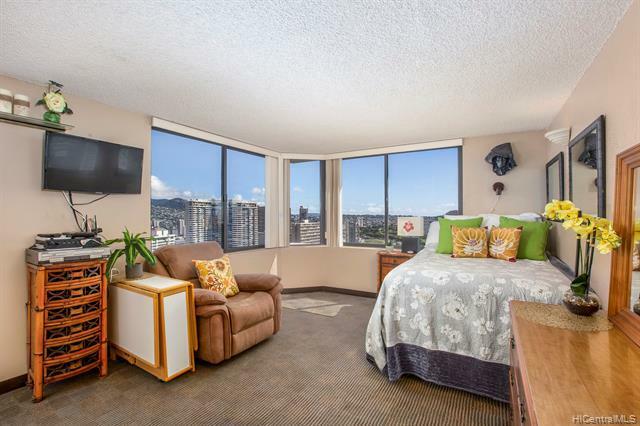 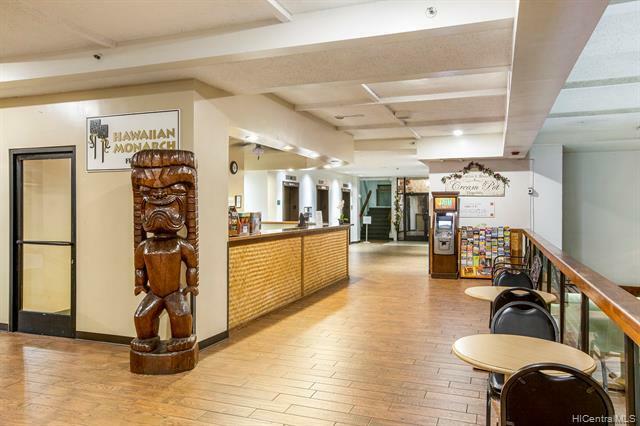 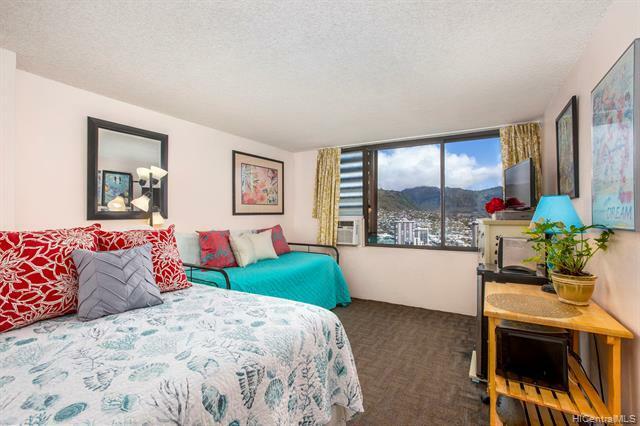 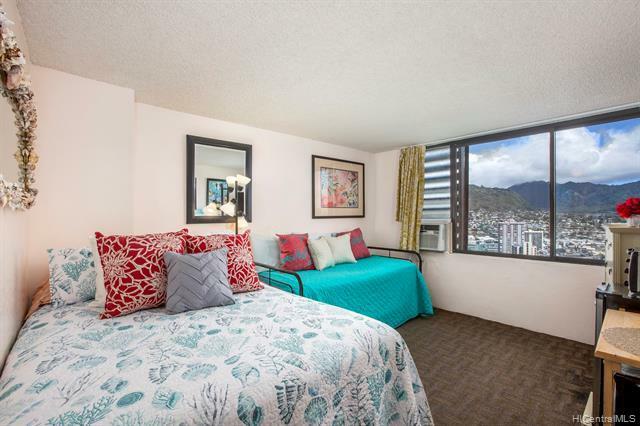 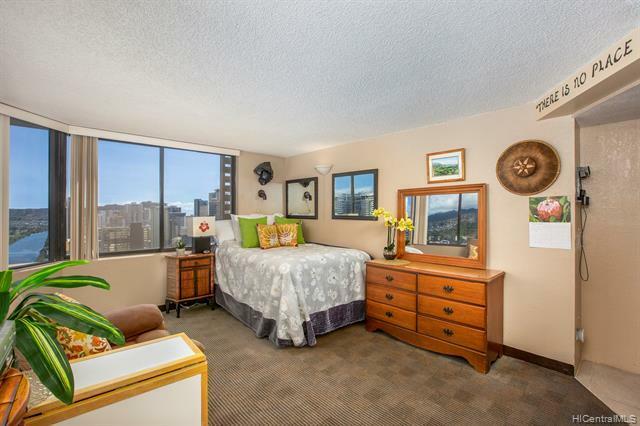 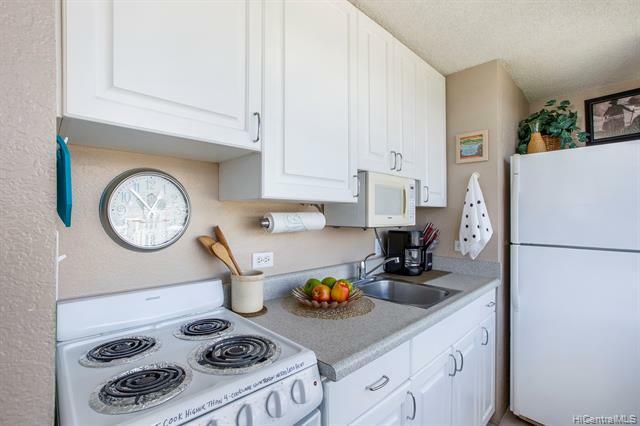 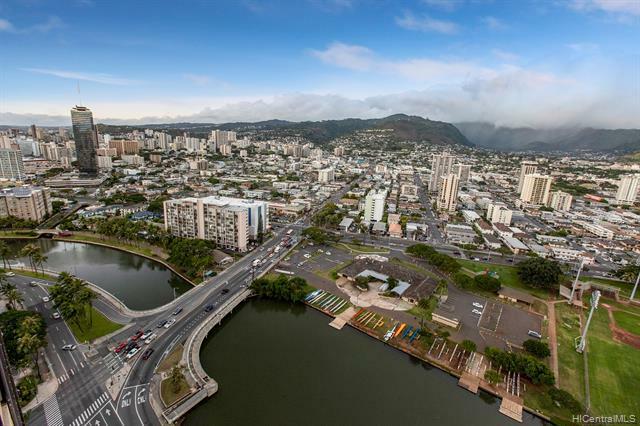 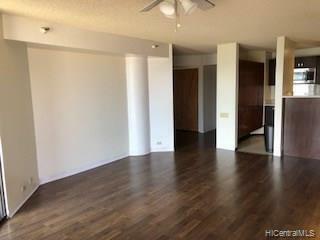 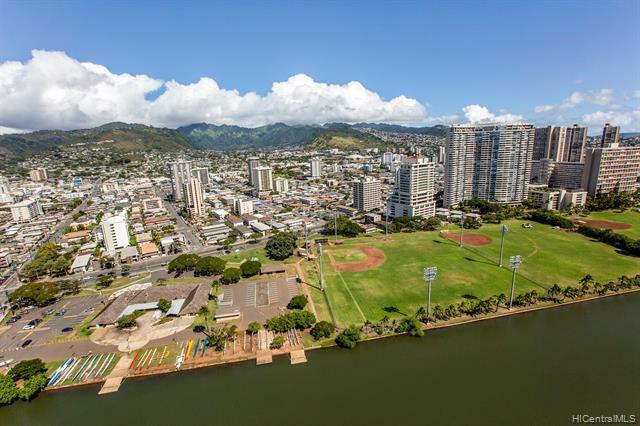 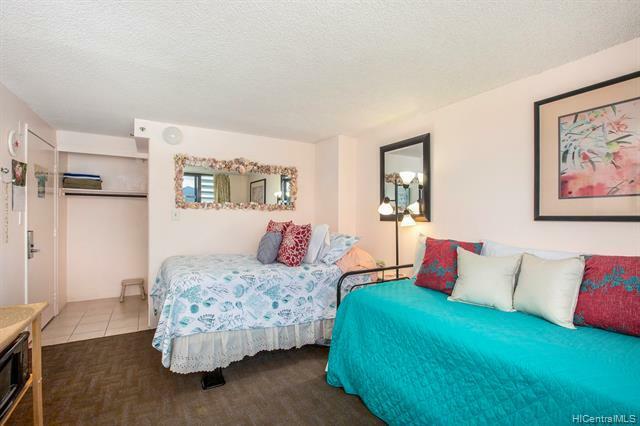 Close to Ala Moana, Convention Center, Waikiki Beach and more. 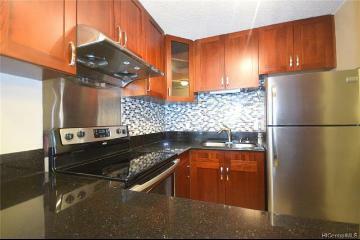 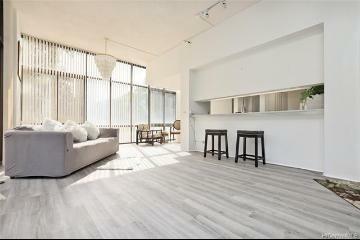 Unit is fully booked, so next open house or showing WED 4/3 2:00-5:00pm between check in and check out. 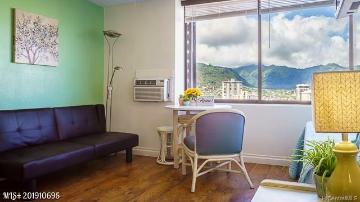 444 Niu Street, 3406, Honolulu, HI.